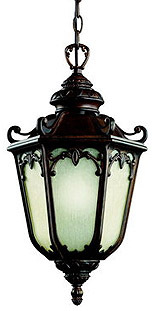 Create an outdoor living area with stylish outdoor lighting using sconces, lamp posts, outdoor chandeliers and landscape lighting. Today there is a strong interest in making an outdoor living area a carefully decorated work of art. 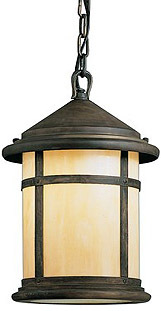 Outdoor lighting will accentuate any outdoor living area. 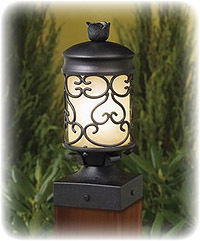 You can make your garden space come alive at night with low voltage landscape lights while outdoor hanging lanterns make any garden or patio space take on a fresh and orderly appearance. One challenge is finding lights that match one another, thus providing a very strong tread which ties the outside space together. 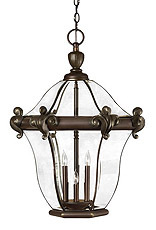 Both Kichler and Hinkley have masterfully solved this problem by providing various lighting collections.